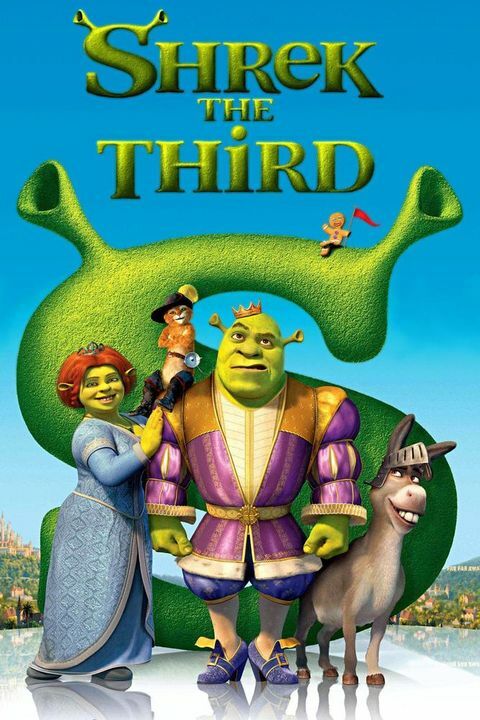 Shrek the Third 1hr. 33min. Shrek and Co, return for more adventures. The King of Far Far Away has died and Shrek and Fiona are to become King & Queen. Shrek however wants to return to his cosy swamp and live in peace and quiet. So when he finds out their is another heir to the throne, they set of to bring him back to rule the kingdom. Meanwhile, Prince Charming enlists the fairy tale baddies to steal the throne away.